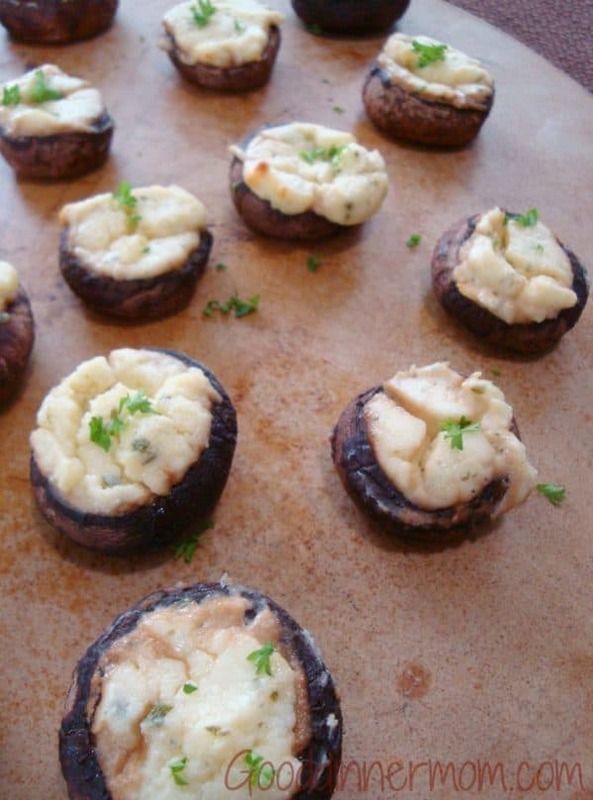 Boursin Stuffed Mushrooms. Simple ingredients. Powerhouse of flavor. Look at these simple ingredients. Separate and pedestrian. Nothing special, right? Oh my friends, this is one recipe you will keep in your back pocket to bring out for any time you want to really, really impress the crowd! I was skeptical. Stuffed mushrooms are supposed to be work and a lot of it. Until now. The recipe is basically: Stem, fill, bake, delight, gone! The cheese is the secret. 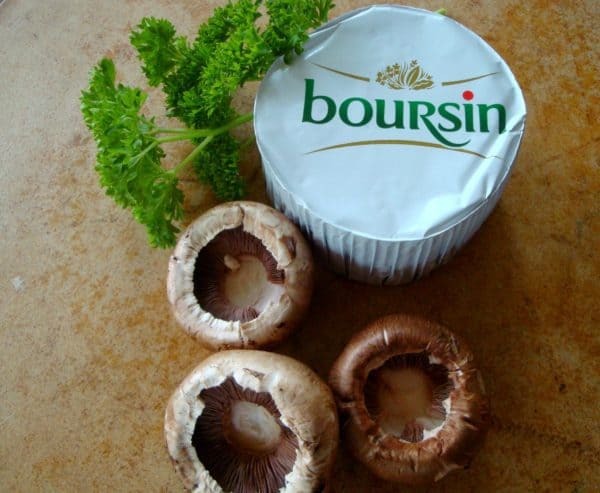 Boursin is a creamy soft cheese with garlic and herbs already in the package! If you have to bring an appetizer to the party, this will be the party. I think you should double it. 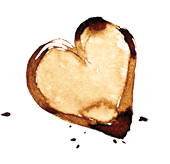 But grab one for yourself out of the oven first because once they hit the appetizer table, they will disappear. 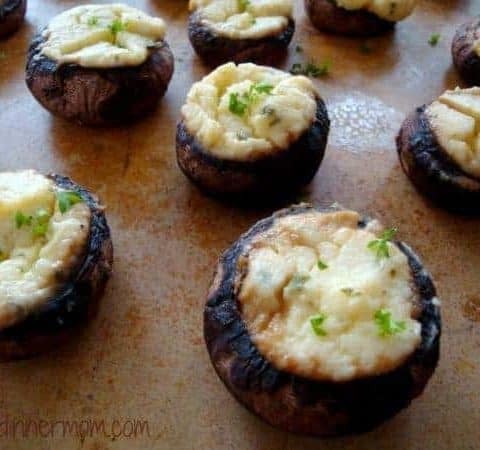 Simple to make, these stuffed mushrooms are loaded with impressive taste. They can even be used as a nice side dish to steak or pasta. Wipe mushrooms and remove stems. 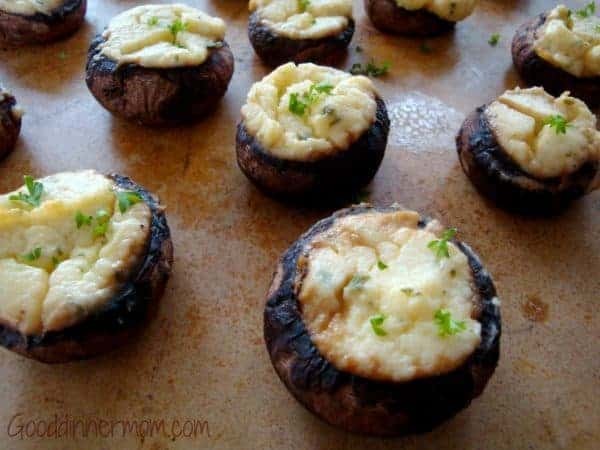 Using a spoon, spread cheese into mushroom caps and place on baking sheet. Remove from oven and immediately sprinkle with parsley. Recipe adapted from CD Kitchens. Just made these again with fresh basil leaves on top!! Yummy!!! This one may have to replace my stuffed mushroom recipe! !